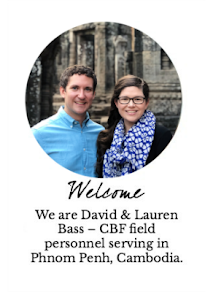 In just over a month, David and I will be officially commissioned as field personnel (missionaries) at the Cooperative Baptist Fellowship's annual General Assembly. Each year the location of the General Assembly rotates, and we were excited to learn that this year it would be held in Dallas. Since our commissioning will be held so close to our hometown we wanted to give some details about the evening in case anyone would like to join us in celebrating that evening. Cost: Free, but they request that you register here.